Today we are going to talk about our New Year’s Resolutions. A resolution is a promise we make to ourselves with the intention of improving or changing something ,e.g. : to do more exercise. Here are more examples: 50 New Year’s Resolutions and How to achieve them. ALSO , the most commonly broken New Year’s resolutions HERE. Now , think about the resolutions you would like to make for this new year , write them down in this worksheet . A resolution is a promise we make to ourselves with the intention of improving or changing something ,e.g. : to do more exercose. After the New Year’s Resolutions activity, we can watch together the following video and hope all our dreams and wishes will become true!! On 25th November every year we celebrate the International Day for the Elimination of Violence Against Women. We are going to listen to two songs. What is the first song about ? What’s your opinion about the lyrics ? And Suzanne Vega song ? What is it about ? This week ,on November 24th, Thanksgiving Day is celebrated in the USA. Today we are going to learn the history and origins of this American festival by means of different activities. Finally, watch a video with the Thanksgiving parade. Happy Thanksgiving!! September is here and so is a new school year! FIRST, WATCH THIS VIDEO:WHY STUDY ENGLISH?? READ YOUR ESSAY/ LETTER TO THE CLASS!! Holidays are close so in this lesson we are going to talk about PLANS FOR YOUR SUMMER HOLIDAYS. AFTER WATCHING THE VIDEO, MAKE A LIST of the things you think you should take for your holidays . Discuss with your partnet and MAKE A LIST OF NECESSARY THINGS TO GO ABROAD THIS SUMMER. What do you think the man does for a living ? Is he a teacher? A football player ? What is he doind at the business lounge ? What is the woman doing ? According to the video, what is important to do if you are travelling for business ? This year we are celebrating the 400th anniversary of William Shakespeare‘s death and of course, his career as a playwright and a poet. 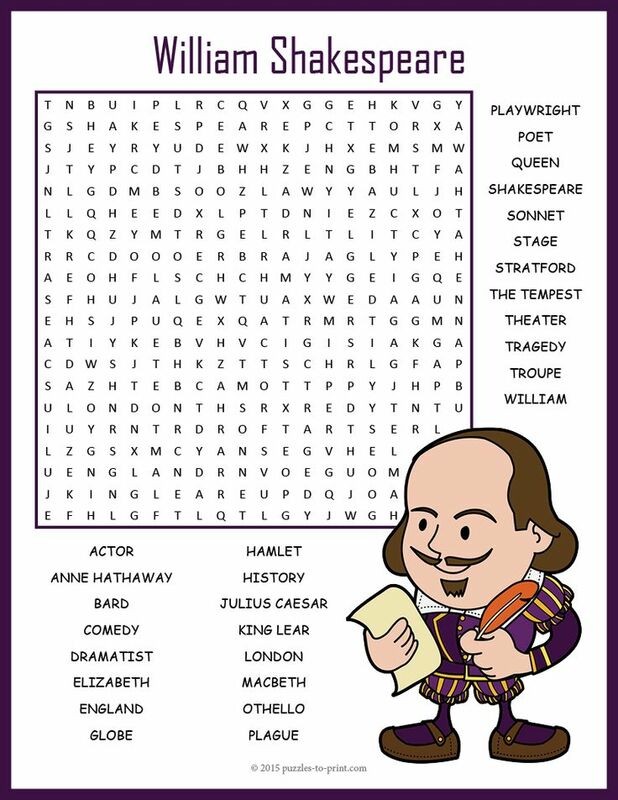 Take this QUIZ_ on Shakespeare. 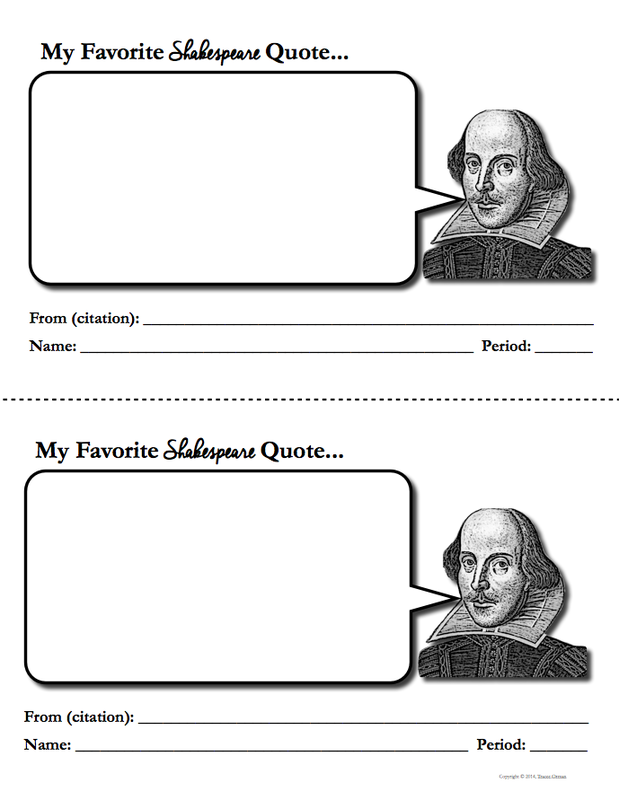 Find Shakespeare’s QUOTES from four of his most famous plays: Hamlet, Romeo and Juliet, The Merchant of Venice and Othello.You can find some of them HERE. Ana Mª and Juan A.